Glasses aside, I think we can agree that Noel was really the John Lennon/George Harrison half of the Beatles approximation. 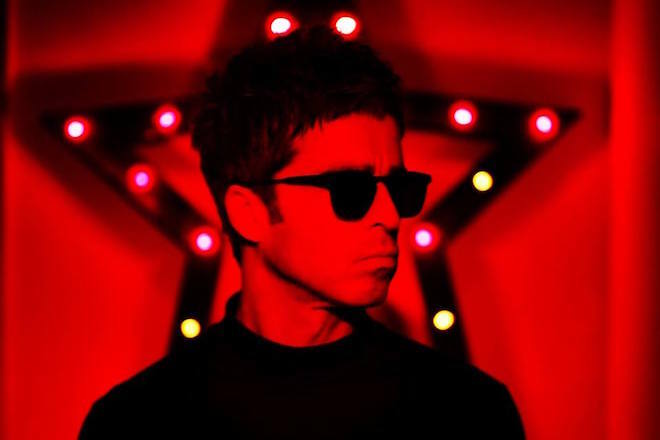 Three albums into both sibling’s post-Oasis career, Noel and his high-flying avians get the A for effort: collaborating with everyone from dad punk axmen like Johnny Marr and Paul Weller to some of the big beat impresarios they used to compete with in ’97. The work with Gaz Cobain and Brian Dougans of Amorphous Androgynous might have been, notoriously, scrapped but anyone who thinks Noel isn’t any fun should check out the duo’s 16-minute remix of “AKA…What A Life!” that he actually released as an official b-side. David Holmes, who helms the latest Gallagher effort, quaintly titled Who Built the Moon?, is also a figure of the 90s—he was a minor character in first few chapters of Lizzy Goodman’s Meet Me in the Bathroom, notable for attracting the comical ire of a younger James Murphy. (“[Holmes] was like, ‘We are going to make a record like Can.’ I was offended by that.”). The collaboration was earnest and full-bodied—“This was being written in the studio, the songs are being born out of this thing,” Gallagher confirmed with Stereogum last week. Results, however, are mixed: opener “Fort Knox” was a mix of hip hop and “video game title screen music” and Holmes’ beatpads can’t quite reign in the nonsense on the fittingly-titled “Be Careful What You Wish For.” But the moody drums and finger-snapping soul choruses on “Keep on Reaching” are just right and build up like a quiet storm on the other half of a Massive Attack record yet come with a cooing pump that suggests this is the sound he’s been looking for all along. Noel Gallagher will look good on the dancefloor yet.